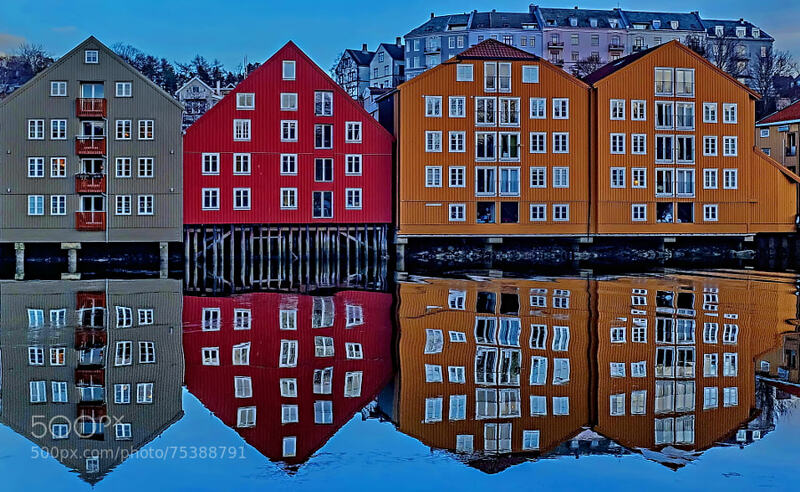 Bakklandet is a neighborhood of Trondheim, Norway. It lies on the east side of the river Nidelva between Bakke Bridge and the Old Town Bridge. The area is dominated by small, wooden houses and narrow streets. It is among the major tourist attractions in the city.